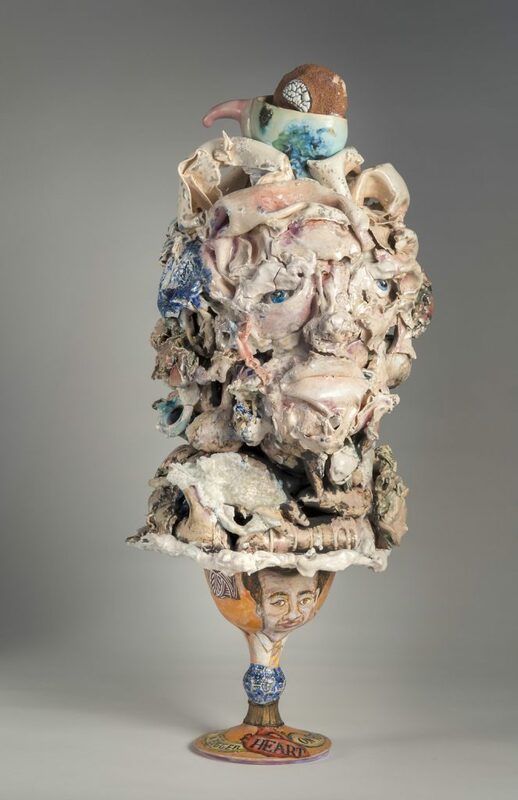 Matt Nolen pieces together vintage, found ceramic objects to re-member disparate experiences. 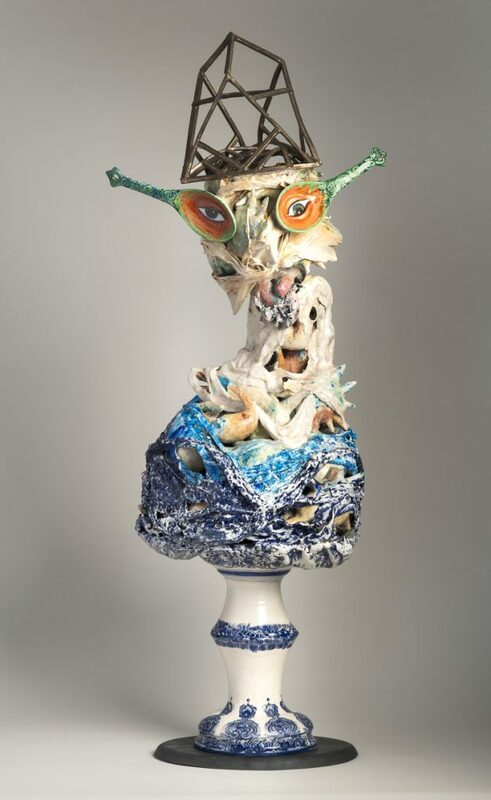 The works tell a story of self-understanding by combining geometric shapes, eyes, faces, body parts, goblets, and collectible figurines. These amalgamations, while at first appearing to be cacophonous, are in fact a violent harmony of joinery which create an external visualization of the architecture of Nolen’s psyche. His vulnerable assemblages point out the ways in which we construct personal truths, and reveal tensions between internal and external representations of self. They are quixotic metaphors for the fragile notion of an immutable reality.